Summer is in full swing, and for many people that means a vacation or two to look forward to! If you are travelling this summer, you will surely be thinking about packing, excursions, relaxing, and the great food you will eating. Don’t forget to spend a little time thinking about your hearing aids, and how to take them with you on vacation. Make a List and Check it Twice…. Making sure you bring all of the necessities is crucial to a stress free and enjoyable vacation. Making a list will help you get organized and ensure that you don’t forget anything. Of course, you need to bring your hearing aids on your next trip, but you also want to make sure you bring your case, any cleaning implements you use, and extra batteries. This last item is especially important, and you don’t want to be looking for hearing aid batteries in an unfamiliar city while you are not able to hear and communicate effectively. If you have rechargeable batteries make sure you bring a plug that works for the country you are travelling to. Make sure you remember all of your hearing aid accessories! Your hearing aids may not need much cleaning at home, but consider the climate and environment you will be in on vacation. If you will be on the beach, your hearing aids could be clogged with sand. If you live in a dry climate you may have never used a hearing aid dehumidifier, but if you are going to a tropical climate consider investing in one. Keep your hearing aids clean and they will serve you for many years! When bringing your hearing aids, accessories, and batteries on a flight, don’t pack them in your checked baggage. Put them in your carry on luggage, and if your baggage is lost, at least your hearing aids will be safe! Losing your hearing aids before your trip even begins is a sure way to ruin a vacation. Even with your hearing aids, you still want to be sure you get all the information you need on your trip. At the airport, many announcements over the loudspeaker are also placed on a screen, so if you miss the vocal information you can still read the visual. Airport speakers are often hard to hear, so make sure you get the information you need from a screen. You want to be ready to approach any airport screening knowing the rules and regulations associated with hearing aids. According to the TSA website, you are not required to remove any hearing aids before screening, although additional screening may occur if the hearing aid triggers the walk-through metal detector. If you feel that you need additional assistance due to hearing issues, make sure to alert the TSA officer before you begin the screening process. You are not required to provide any additional documentation of your hearing loss or hearing aids. 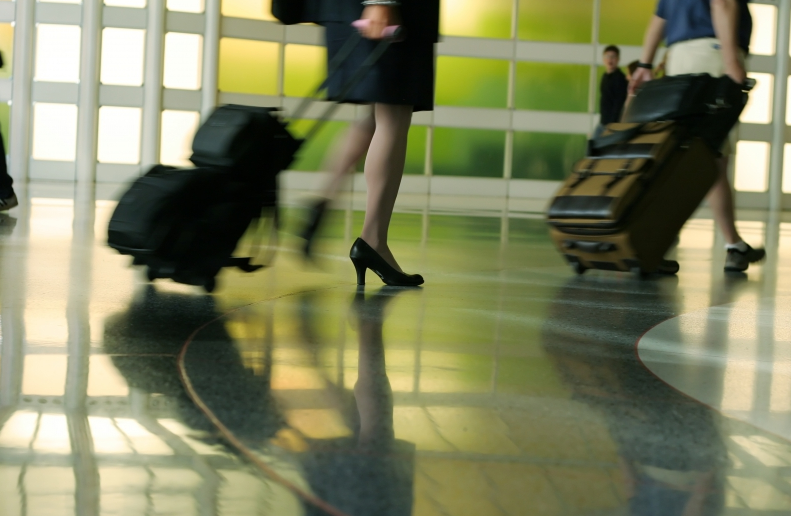 You may be hesitant to wear your hearing aids through airport screening, but don’t be. X-rays, walk-through metal detectors, body scanner or handheld screening devices do not affect your hearing aids, and they will not be damaged in the screening process. If you have hearing loss, you are prohibited from flying in the exit rows. Checking your seats beforehand, or indicating to the flight attendants that you have hearing loss will help you find an appropriate seat. You may be tempted to turn off your hearing aids on a flight, but don’t! Keeping your hearing aids on will help you hear any important announcements, and get all of the necessary information. Hearing aids are not included under the electronic devices that are banned during takeoff and landing, so you can keep your hearing aids on for your entire flight. 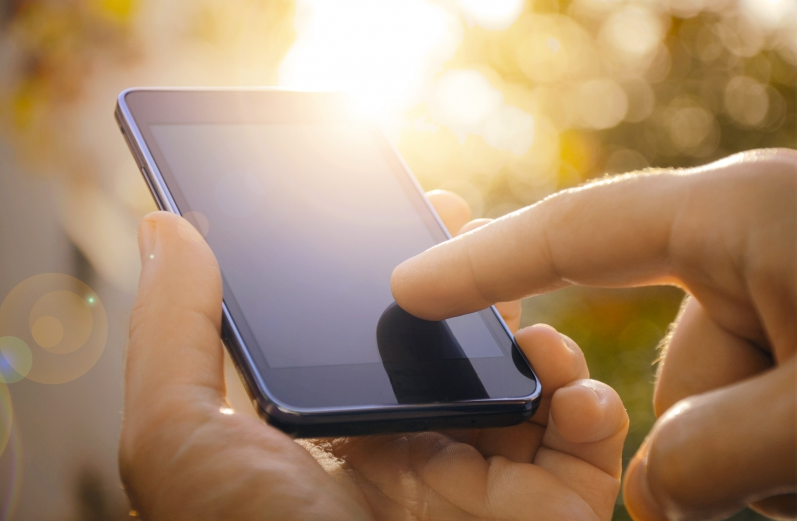 If your hearing aids have the ability to wirelessly connect to an app on your smartphone, learn how to use it before your trip. An app that can control your hearing aid’s volume and other settings is great, but figuring out how to use it on vacation is not so fun. Make sure you bring the charger for your cell phone as well! Many hotels have hearing impaired rooms that come equipped with a flashing light as a doorbell so you know if someone is trying to come in. These rooms can also give visual and tactile cues for fire alarms, telephones, or alarm clocks. Inquire ahead of time if you think that a hearing impaired room would help you. If you happen to have an old or extra hearing aid—bring it! Vacation is a time when the unpredictable can happen, and having an extra hearing aid with you can ensure that you are never caught without one. Even if it is an older model, you will be glad for a backup in the event that yours breaks or is lost. If your vacation will take you to the pool or the beach frequently, consider investing in a sturdy waterproof case to protect your hearing aids while you aren’t wearing them. Sticking them in a pocket or on a table can result in them getting damaged or lost. If you are travelling to a country where you are unfamiliar with the language, don’t fear! Your hearing loss may seem like a hinderance to you, but it really is not much different from anyone visiting who doesn’t know the language. Most of the time a dictionary, some gestures, and a smile can help you communicate. If you are having trouble hearing, gesturing to your hearing aids can help let the other party know to slow down, talk loudly, and that you may have extra trouble hearing them. The most important piece of advice when travelling with hearing aids is to just have fun! A vacation with hearing aids is just as great, and a little planning ahead can make sure your hearing aids continue to function and perform. Don’t let hearing loss hold you back from enjoying your life and taking great vacations! Hopefully you have a great vacation planned for the summer months. Follow these tips, and you will be on your way to keeping your hearing aids in great condition and using them on your trip. If you are looking for new hearing aids before your next vacation, Factory Direct Hearing sells hearing aids online that can help! Browse our great selection, and have fun on vacation!